Sichuan Magie Trading Co., Ltd.
2.How long is the delivery time9 Normally 2-3 working days after payment. We only deliver goods after getting full payment. 4. What&rsquo;s the warranty time9 1 All goods have the warranty for at least 1 year. 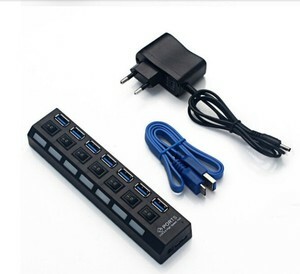 High speed usb separator 3.0 hub 7 ports with independent switch expansion hubUSB3.0. 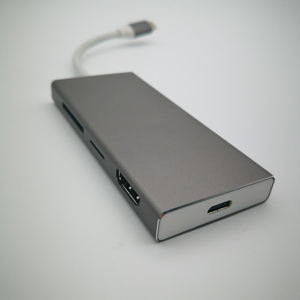 Product features : 1.The appearance design is generous, the interface layout is reasonable, not interference. 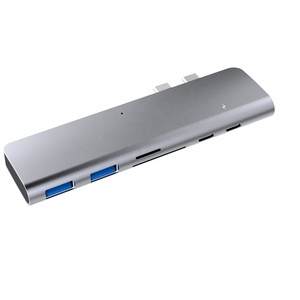 2.The features of each USB port LED indicator light design, control the working status of each USB device. 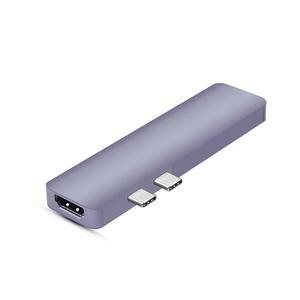 4.It supports overload voltage and instantaneous current protection, effectively protecting the connected devices and the HUB itself. 3. 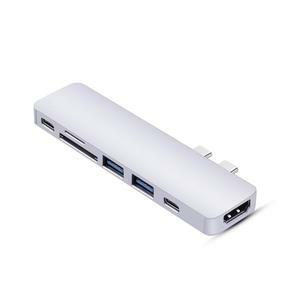 Light and Portable usb c hub: easy and great to take away with you; concise and high end aluminum design, higly matched your laptops. Q: Do you accept small quantity orders 9 A: Yes, we accept small quantity sample orders for testing, for free, and customers should pay for freight. Contact us We are appreciated for your visit our website,any question please feel free to contact us. Shenzhen Diman Technology Co., Ltd.
has a group of professional foreign trade team and product development staff. We can provide you with one-stop shopping service for all electronic products in China. or it is 15-20 days if the goods are not in stock, it is according to quantity. 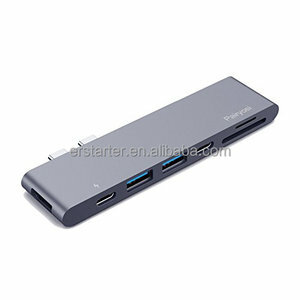 It can expand 7ports USB3.0 interface , transfer rate up to 5Gbps. It features ABS plastic material, exquisite and portable design. LED indicator for 7 ports USB devices working status, independent 12V2.5A power supply provide stable power for several devices use at the same time. 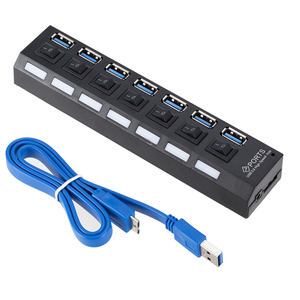 This strip features seven different USB ports to use that can transfer data and charge your device. Seven. Different. Ports. 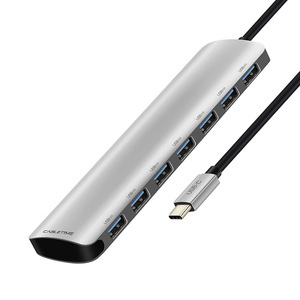 There literally will not come a time when you need more ports than that. Promise. Feature: 7 USB ports with individual on/off switch and LED power indicator Charges 7 universal USB-powered devices simultaneously including phones, tablets, MP3/MP4 players and etc. 4)Deliver time: most contry takes 4-10 days, we can offer more precise ref time for you when ordering. We can declare as &ldquo;gifts or sample with low value, But any import charge is bear by your side. Our products are with superior quality,and were sold to all over the world. Alibaba.com offers 4,777 7 port hub products. 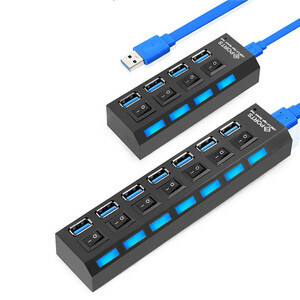 About 59% of these are usb hubs. 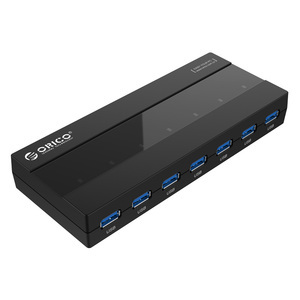 A wide variety of 7 port hub options are available to you, such as usb 3.0, usb 2.0, and usb 3.1. You can also choose from 5-8, 2-4. As well as from free samples, paid samples. There are 4,802 7 port hub suppliers, mainly located in Asia. The top supplying countries are China (Mainland), Hong Kong, and Taiwan, which supply 99%, 1%, and 1% of 7 port hub respectively.  port hub products are most popular in North America, South America, and Western Europe. You can ensure product safety by selecting from certified suppliers, including 1,756 with ISO9001, 848 with ISO14001, and 756 with OHSAS18001 certification.